Over the years much of America’s expansive Great Plains have vanished due to human development, but there are still some grasslands that glow with the pureness of the prairie. 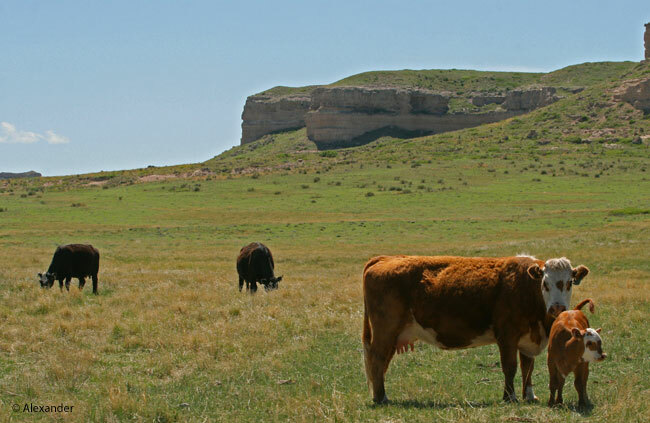 A prairie area in the northeastern quadrant of Colorado, one that I love, is the Pawnee National Grasslands. In the U.S., the Great Plains lie geographically between the Mississippi River and the Rocky Mountains. North of the U.S. border, Canada also has substantial prairie ecosystems in parts of Alberta, Manitoba, and Saskatchewan. See map at end. There are significant contributions to the earth that prairie ecosystems offer. The dense grass roots absorb rain, preventing erosion run-off. Prairies increase our ecological diversity, encouraging native plants and wildlife, species migration; they also capture carbon and support pollinators. Native Prairies, U.S. Fish & Wildlife Service. There is a sweetness of life on the prairie. The melodious songs of the meadowlark, the gentle flight of the longspur, prancing pronghorn, clever coyote, quietly grazing cattle, rustling grass, and moody thunderstorms. Many people think of the plains as boring. Unless you’re in one of the major cities, there isn’t a lot of what some people consider activity. It’s true, I suppose, that things do move a little slower, it’s not the urban rush or the suburban sprawl. Here there is agricultural industry and rural living. But there is most definitely activity. 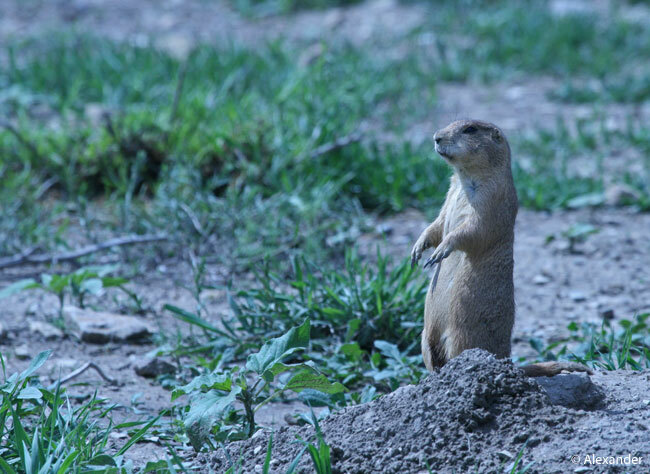 Prairie dogs industriously build entire towns underground. The storms that erupt in those vast, open skies are more electric and exciting than any city light show. Fox, deer, coyote, rabbits, and rodents abound. 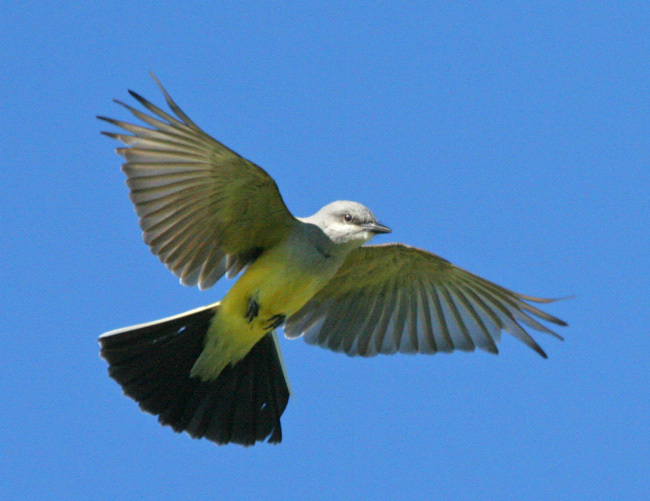 Several dozen bird species animate the country air. Prairie wildflowers nod peacefully. 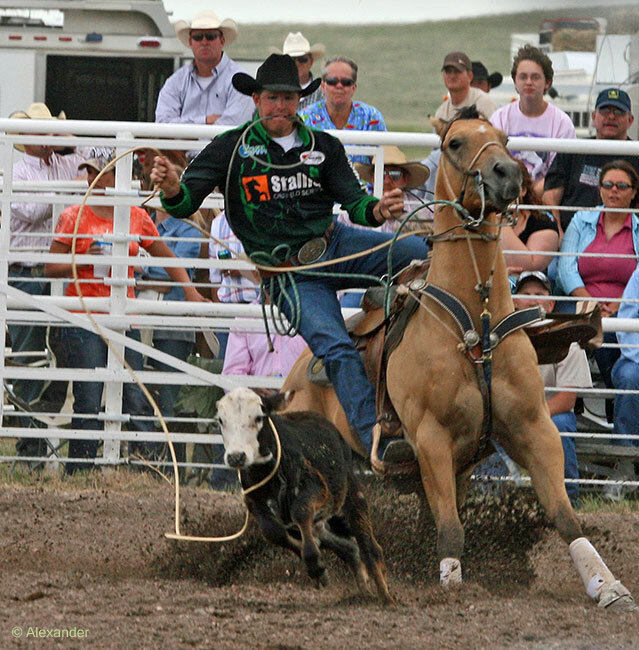 Ranchers work diligently on their livestock, and put on a lively rodeo in nearby Grover every June. And it’s not just the outdoor marvels of nature here, either. As Americans approach Election Day next week, I am reminded that the first woman to vote did so in the western prairies. It was in Laramie, Wyoming, just a short drive from the Pawnee Grasslands, where in 1869 the first woman in the world legally cast her vote. 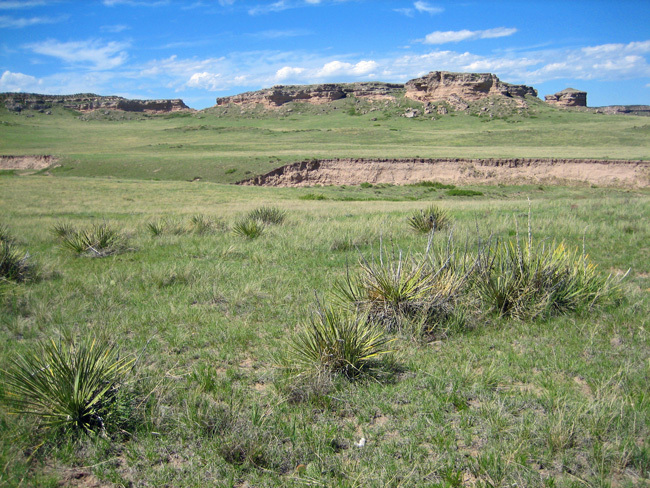 The jagged ridges of the Rocky Mountains can be seen from the Pawnee Grasslands. If you’re ever headed west toward the Rockies, take a few days to pause in the Pawnee area, you will be enchanted. Great Plains in red. Courtesy Wikipedia. This gave me a big smile, Jill. It is definitely a place to conjure up cowboy stories. Thanks so much for your lovely comment this morning. What a wonderful post! 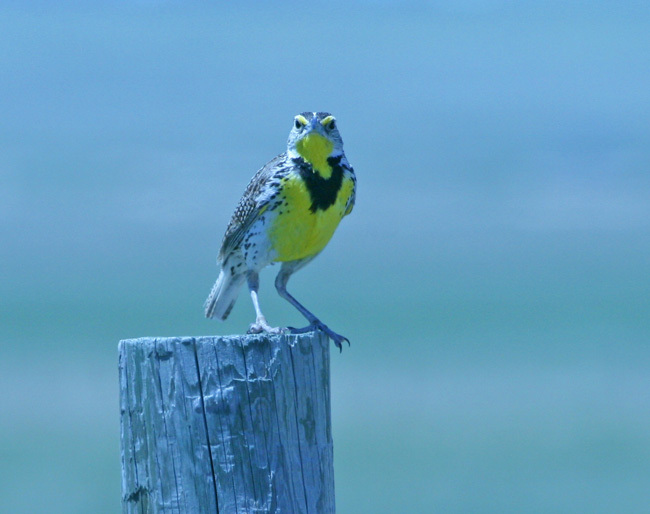 Your writing and Athena’s photographs elevate the prairies and plains – they are great for many reasons! We always enjoy visiting the prairies east of Calgary, and marvel at how the people living there manage to carve out a life, both past and present. 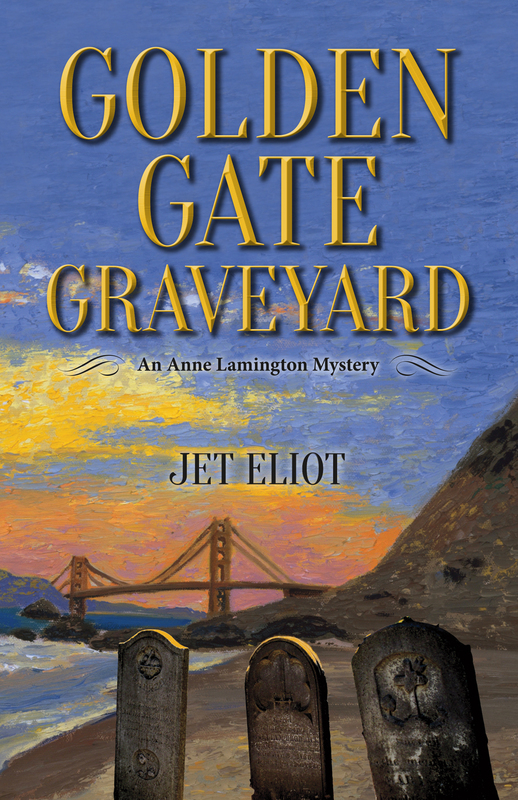 Enjoyed this, and the nod to Esther – thanks, Jet! I am glad you have partaken of the joys on Canada’s prairies, pc, I recall photos and posts. And I agree, there is much to marvel. Thank you for this warm comment and your weekly visits, they are much appreciated. I hope you and Mrs. PC and Scout have a lovely weekend. Very Nice. This is another place that I’d love to see, but probably never will. Just to be there and experience the Great Plains for myself. Would also like to see what is left of the Historic Orogan Trail. This world is so big, it is impossible to see everything. Fortunately we have other bloggers to fill us in on the places we wonder about. Thanks very much, Les. Happy to “see” you today. Thank you for the re-blog, Douglas. There were no bison? Dumb question, I know, ’cause if you had seen bison you would have posted a photo. Still, when I saw the picture of cattle grazing on the Great Plains my brain didn’t register. I guess I expected to see buffalo. This post is like a poem, singing the praise of the prairie. Not many appreciate it. For them it is just fly-by country. I lived for about a year in Kansas City and remember going out to the plains for stock car races. That and motorcycle racing are popular because of all the rolling hills. Course that doesn’t add to the sweetness of life on the prairie for everyone! I enjoyed hearing about your KC experiences, Jan, and I know car and motorcycle racing are cool things to do in those parts. I think it’s better than hunting, so no complaints here. Enjoyed your comment, as always. The Great Plains is the American Serengeti .. teeming with life! There was a Nat Geo documentary some time back (Tom Selleck narrated) that made me fall in love with the American grasslands. I should rewatch .. 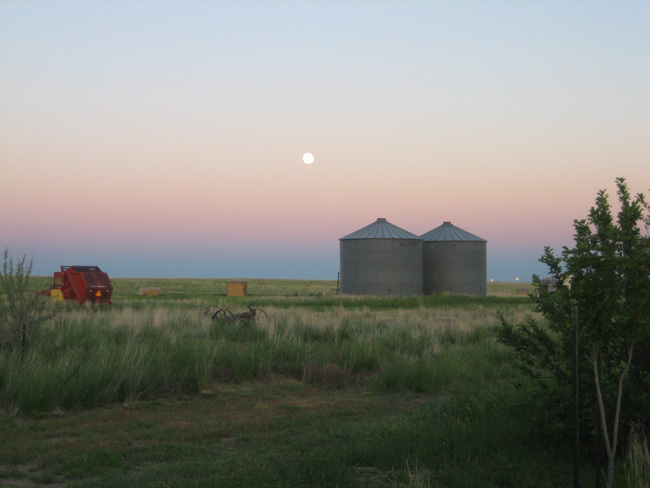 I love the pronghorn and the moon over silos best. Great captures all. Thanks so much, Shannon, I’m glad you enjoyed the grasslands post. Pronghorn were a real treat to see there. The B&B owner’s cousin came over when we were there, and they were all talking so nonchalantly about pronghorns because they saw them all the time. They just called them antelopes. (Though technically they’re not really antelopes.) Anyway, great to “see” you today, Shannon. Dear Jet, I’ve saved your eloquent, beautifully photographed post. I know the area, and cherish it. On reflection I’m thinking you mention Athena Alexander whose work I greatly admire … think she is a superb photographer. Also … you both must have the cameras. Wonderful to receive both your comments, Bonnie, thank you. I am delighted that you know the Pawnee Grasslands, so few people do. Thank you for your kind words on the writing and photos, much appreciated. Cool! We’ve been thinking about going here so it’s nice to have a first person account of Pawnee Grasslands. Thanks! We stayed at a B&B right there on the buttes called West Pawnee Ranch in Grover, CO. It takes awhile to get there, because it is rural and far out, but I highly recommend it. Clean, pleasant, reasonably priced, great food and great people, the Timms. Good to know, thanks for the recommendation! Beautiful captures of gorgeous lands, I’d most definitely take the prairie over the city! I can easily see you enjoying the Pawnee Grasslands, Donna. Those prairie birds are especially engaging and photogenic. Cheers! There’s something very peaceful about those wide open prairies 🙂 Such lovely pictures! That is a beautiful part of the country. All were so beautifully captured, Jet. Very well composed and organized post, and beautifully photographed as always. I live in the mountains but love the prairies as well. I, too, live in the mountains, montucky, but, like you, I love the prairies too. I am glad you enjoyed the post, and thank you for your visit and warm words. 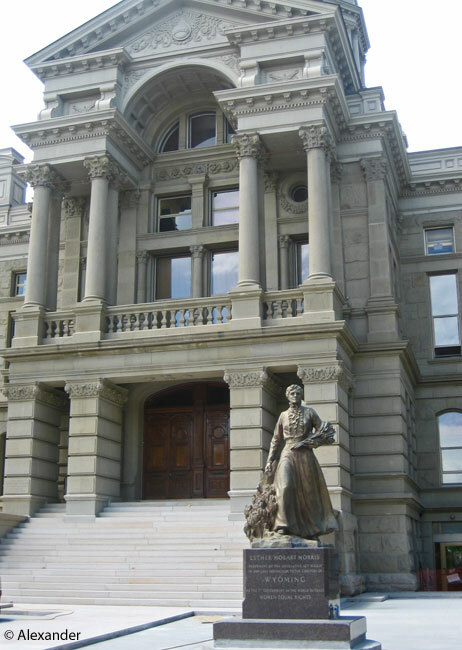 Many firsts for women in Wyoming, something I found a little surprising but delightful. Glad you enjoyed the post, Janet, thank you. I think states in the west were more likely to give rights to women because women had to do so much and be more independent. Just my thought, though. You have to love the Great Plains but a tough place to survive. I luv that little cowboy great photography! 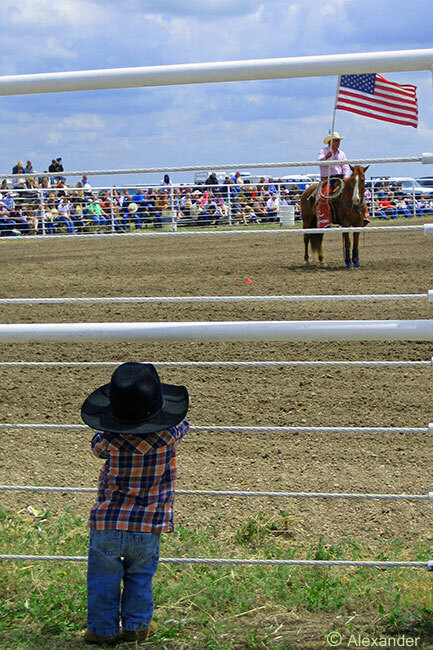 That’s a fun photo, that little guy looking on at the rodeo, glad you enjoyed this post, Bill. Thank you so much. So much life on the plains. Glad you enjoyed this post, David, thank you, my friend, always a pleasure. This is so beautiful and interesting,Jet!I cannot think that people find it boring.I love the open spaces. I love the open spaces, too, Dina. Thanks so much for your visit, always appreciated and enjoyed. Glad you liked it, Sherry…thank you. 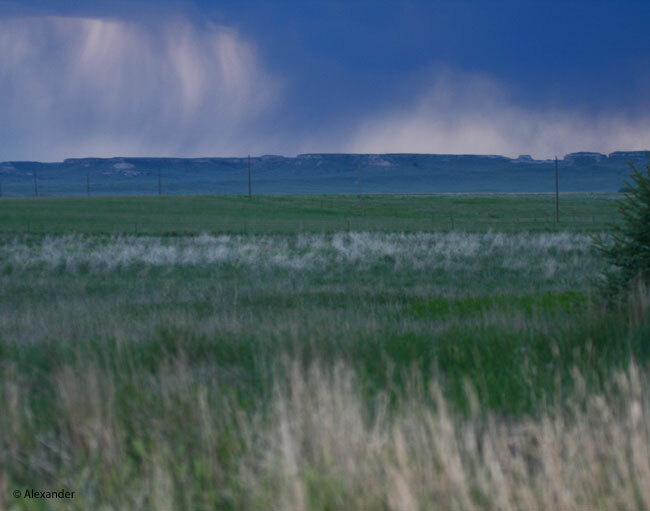 An informative and interesting post….would love to visit Pawnee National Grasslands. Thank you, Michael. We heard about it from a famous birder on a walk once, when I asked him some of his favorite birding spots, and he mentioned this. I think you would like it there, beautiful scenery to capture. I’ve been through the prairie a few times. I reminded me a lot of the Great Basin area I grew up in. Wide open spaces, miles away from other people. Of course mine was sagebrush, but we had antelope, meadowlarks, kingbirds, and cows. Our prairie dogs were replaced by ground squirrels. This post reminds me of Montana. Love the photos, especially the one of the one of the cowboy in action. Yes, the eastern side of Colorado has that western U.S. feel to it, rodeos included. Glad you enjoyed it, Anneli, thank you. Yes, it’s a pleasant place to be, if you like being “away from it all,” and I know you do. Thank you, Bertie, a true pleasure. I enjoyed your comment, Eliza, thank you. The wind in the grass is a notable feature, and I like that your garden-loving senses remembered it. It is mesmerizing, you’re right. And I agree, Cheyenne struck up Women’s Equality in 1869…not something we would’ve guessed. A joy to see and read your posts! Thanks so much, Cynthia, I am glad you enjoyed the Great Plains. The prairies sound as though they have a little of everything – peace and quiet, lots of nature and some interesting culture too! You summarized it well, Andrea, thank you. Always a pleasure to receive your words. Apparently I don’t know anything about Colorado. It seems that when talking about this state, the only image that comes to mind is that of mountains. I just learned something new. It looks like beautiful country. Admittedly, I’ve never spent any time in the prairies – even in my own country. You bring up a good point, Joanne. Colorado is known for the Rockies, and indeed they are spectacular. But the less known Pawnee Grasslands, in eastern Colorado, are also worth exploring. Or for you, it sounds like a lovely visit to the Canadian Prairies is in order… Always a joy, Joanne, thank you. You always give me a new appreciation for the diversity of our world — seeing the beauty of the plains that I — living here! — so often dismiss as being flat and boring. Thank you! It is such a big world and so accessible, it is difficult to know where to go, there’s so much to see! But I am glad I could bring the beauty of the plains closer to your heart, Nan. Thank you so very much. I’ll take the home to the pronghorn and meadowlarks over a city any day! Great narrative (yours) and Athena’s images! Always a pleasure to visit here. Yes, admiring the pronghorn and meadowlarks is certainly a joy, for you and for me, Gunta. Thanks so much for your visit, it is always a pleasure. It looks and sounds so beautiful. Love the photos of all the wildlife and all that wide open space. Glory be! There is something so calming about the “wide open space,” Peta, I’m glad I could share it with you today. Thanks so much for your visit. I’m heading over right now to share in your latest adventure…. What a lovely post — such beautiful pictures!! Thanks so much fromdustoftheearth, it’s a pleasure to share the prairies with you. What beautiful photos, you captured it so well! How wonderful that I could take you back to the prairies, areweadultsyet, thanks for stopping by. What a wonderful article, Jet! I didn’t know that Wyoming is the state where the first woman voted. Love the plains and the ‘big sky’ 🙂 We were on our way to Evanston, WY, this September, but had to turn back because of the wildfire when we took a shortcut through the Uintas. Lincoln Highway was a point of interest. Beautiful state! Oh how unfortunate to be so close, but have to turn back. But I’m glad you got to see other parts of the west, Inese. And really glad I could take you to the prairies, here. Thank you for stopping by, much appreciated. Fascinating as ever and an insight into a world I have never seen. The rodeo photo was really exceptional! Thanks so very much, Cathy. I’m happy you enjoyed a trip to eastern Colorado with me. Living on the edge of the prairies here in Alberta I agree there is a great deal happening out on the land but one must have a keen eye. Certainly there are lots of jokes about watching one’s dog run away for three days but there is a raw beauty out there. Perhaps not as spectacular as the show off Rocky Mountains but a beauty nonetheless. I’m glad to hear from someone so intimate with the North American prairies, and it is clear from your words, Sue, how much you honor it. Thanks so much for your input and visit. Thank you for bringing the Pawnee and other prairie grasslands to our understanding with the wonder of words and beautiful photographs. I find that grassland ecosystems are exciting places to investigate. I love the Colorado and Wyoming plains and especially the Sand Hills of Nebraska for the wildlife and exceptional birding opportunities. Your work is much appreciated! Seems like a totally different way of life than those of us who live on the east and west coast, doesn’t it? A different but no less beautiful way to live. Thanks for this post – you awakened a desire to visit this area. Yes, you said it well, Pam. There are plenty of beautiful landmarks and vistas on the coasts, so many in fact, that we sometimes forget there is another kind of beauty in the prairies. I’m glad you found this post enticing. Thanks so much. Great post!! Countryside with a beauty all it’s own. I’m embarrassed to say living in Denver for 13 years, not all that familiar with that area of the state (exception being driving Interstate 76 through NE Colorado from Denver to Interstate 80 across the border in Nebraska on our way to Iowa where we grew up). Yes, it is not a well-known part of Colorado, overshadowed (literally) by the Rockies. But I am glad I could give you some insight into the prairies of eastern Colorado. Always a pleasure, Kirt, thank you. When you take a close look, there is a lot more to a landscape. Wonderful collection, Jet. 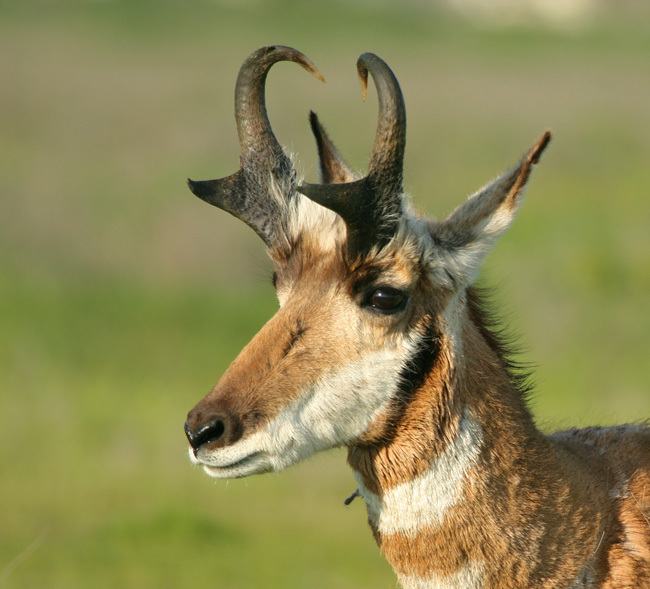 All the photos are very good, but I especially like the ones of the pronghorns. I also enjoy visiting the grasslands, as Michigan is shore to shore forests unless the forests have been cleared for farming. It’s nice to be able to see more than a few feet in any direction. I’m really glad you enjoyed the grasslands, and I liked the pronghorn photo too. 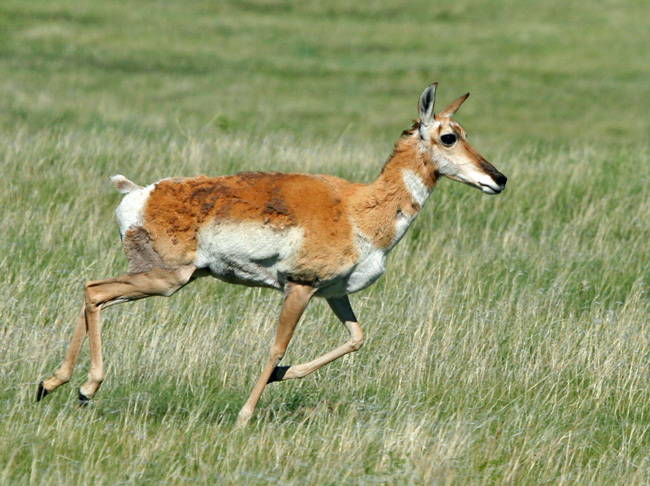 Pronghorns are so skittish, they are not easy to photograph. Thanks very much. Thank you for this most informative post! I love the prairie lands, but I had no idea that the first woman who voted did so in Wyoming. And as ever, beautiful images. Yes, we were surprised to learn about the first woman’s vote being in WY, too, Sylvia. A delightful surprise. Thank you.